College will officially start in two days and my cousin Chelsea and I decided to welcome the academic year with a ‘new look’. We’ve been wanting have eyelash extensions for the longest time and we finally got them, thanks to Wink! It’s my third time to have these flutterlies. They fall off after application around 2-3 weeks. 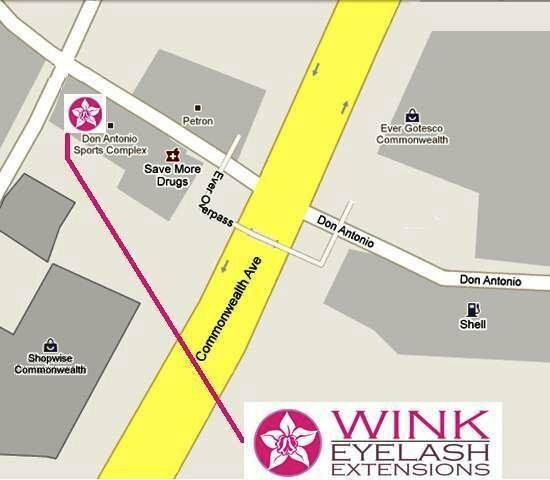 Wink Eyelash Extensions is located at Don Antonio, Quezon City. The stall is actually small but we were very comfortable; Chelsea and I even fell asleep in these pink and posh seats! The whole process lasted for about 45 minutes- 1 hour. We picked the ‘Glimmer’ package, where we got to choose the length of our eyelash extensions. Since our real eyelashes were longer than the short-lengthed ones, we picked the medium-length ones. 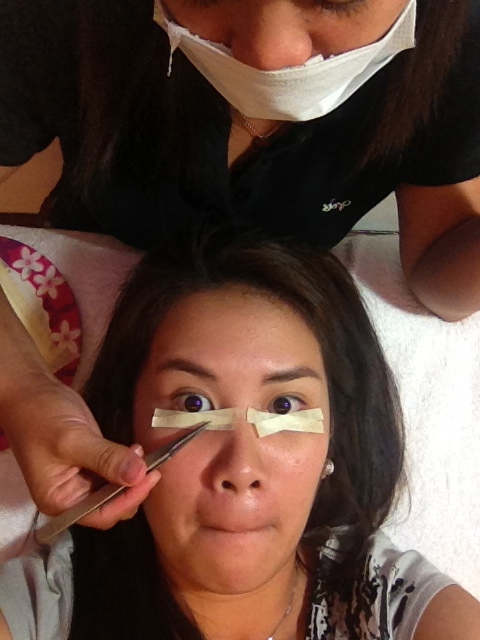 Ate Joy placed masking tape beneath my eyes so that they don’t twitch when she applies the extensions! My eyes were shut the whole time, however, some adhesive paste went in and my left eye was sore for a while. The pain subsided quickly though! Chels and I are happy with the outcome! We plan to go back together when these flutterlies fall off. We are ready to show the world our smize – smiling with our eyes! Eyelash extensions reviews is a good solution for immediate result, but be aware that no matter what type of extension you get they will thin out your natural eyelashes. 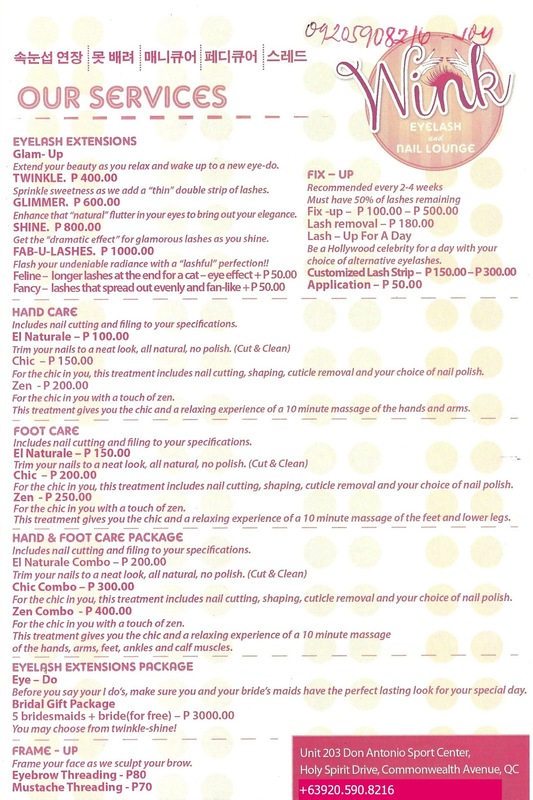 Other thing to keep in mind is the maintenance and restriction of having eyelash extension.